OMNIA Partners has the most robust portfolio of quality agreements in the private sector. Our extensive portfolio of indirect and direct goods and services has everything you need to satisfy your internal and external stakeholders. OMNIA Partners empowers you to visualize and defend your spend every step of the way, mitigating risk while meeting your spend and quality goals. 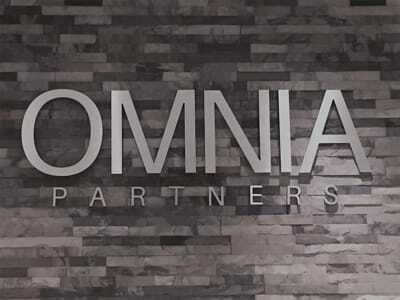 OMNIA Partners helps members bypass the RFP by offering market-leading, pre-negotiated agreements that provide immediate value and savings. From program demand and selection, to mid-course correction and long-term strategy, our members trust that we will help them achieve more every step of the way. We cover all strategic spend categories that organizations face both inside and outside of procurement, making OMNIA Partners, Private Sector purchasing’s leading resource. Better pricing. A better process. The best solutions. 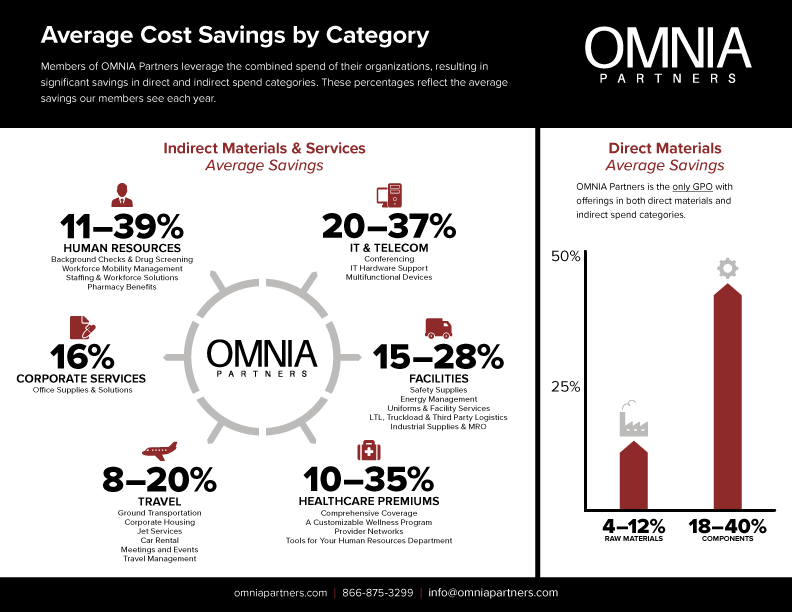 OMNIA Partners Direct serves manufacturing, distribution, production and distribution through these spend categories. OMNIA Partners Enterprise serves Fortune 1000, enterprise corporations, and private businesses through these spend categories.